Havens are one of the largest and most important design elements in Phoenix Point. Havens are the last remaining "safe havens" for humanity after The Mist started to roll inland from the sea. Usually built in mountains and other high areas above the reach of The Mist, these Havens are where the major factions call home and operate from.Throughout the game, many battles will take place in the NPC Havens of New Jericho, Synedrion and The Disciples of Anu. You will help to defend them from enemy incursions, set up forward operation bases and even infiltrate and steal from them. In addition, there will also be Havens that are independent from these factions. A major consideration for the design team has been to make each faction's Havens look unique. Each of the factions and the independent Havens will have their own unique look and style. You will be able to tell who the structure belongs to from the design of the buildings, the colour scheme and the items and furniture that populate them. Each Haven is further broken down into different zones, each with their own unique buildings and props. Our current Backer Build for example uses the New Jericho Industrial zone. There will also be things such as Residential, Food Production, Military and so on. 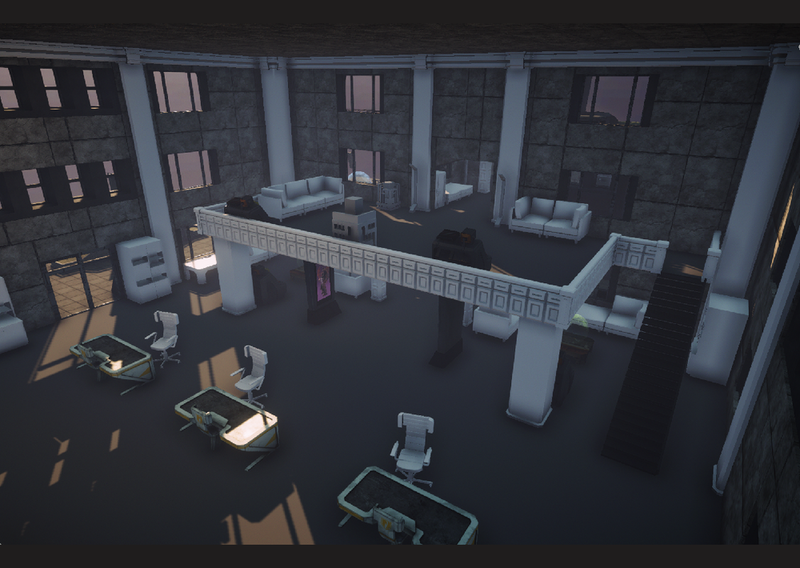 As you can see in the above image, we have some buildings that are much larger than those in the current Backer Build. One of the factors that really added to the tension of the original X-Com UFO Defence, Terror from the Deep and X-Com Apocalypse was indoor fighting. Tight, twisting corridors with multiple floors, doors and side-rooms. Plenty of places for things to hide and ambush you from. Phoenix Point is no exception. We are also designing many structures that can be fought in as well as on (they will also be completely destructible). It isn't just the design and creation of the structures that takes time, but also the props. The minor details and deccorations which adorn the buildings both inside and out. At a glance they would be easy to overlook, but have a huge impact in bringing each structure to life. Just the rooftop props alone add up to quite an impressive number. 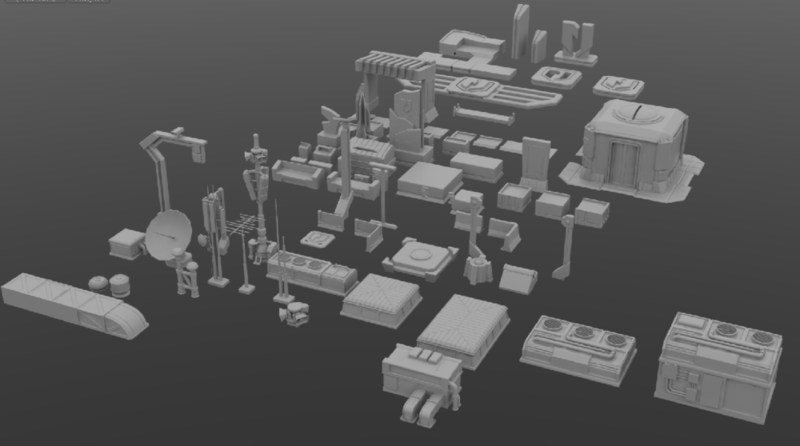 Each of these assets has to be individually modelled and textured. Like all other physical objects in Phoenix Point, they can be used as cover and are also fully destructible. While some of these assets are more generic than others (they can be used on other buildings or even in other Havens) there are also many custom assets for each faction. Once you start to consider the number of props used on an entire map, not just a single building, you start to realise just how much small detail there is. Each asset hand-crafted to fit a theme. It isn't just the exterior props that have to be created, but all of the furniture and equipment which can be found inside each building. All of these elements can go together to make the buildings feel more unique and lived-in, and not have them feeling like empty shells. These objects also provide some makeshift cover. Work is also underway, in various stages for Havens of other factions, and other environments. Below you can see an example of an independent Haven building. 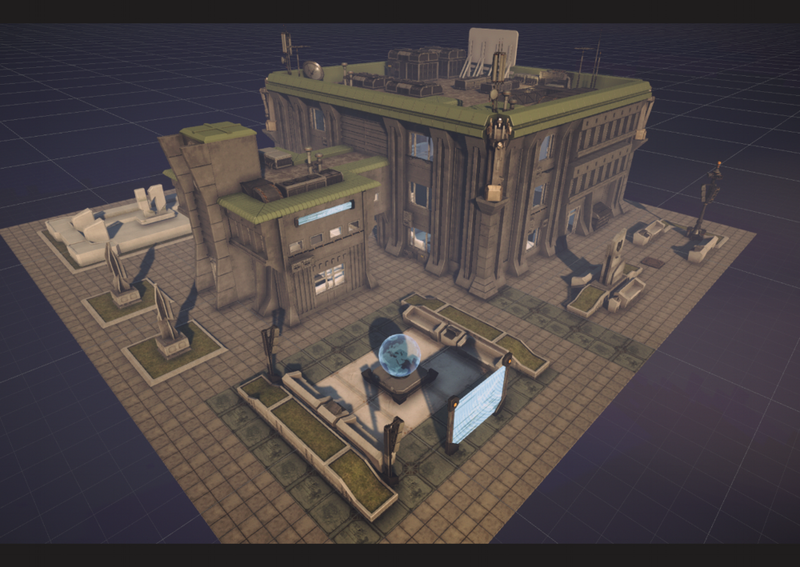 The environment team are also busy working on two other aspects of Phoenix Point. While not technically Havens, they will play a very large role within the game. Those are the Pandoravirus "alien" structures and also the Phoenix Project bases. We're not ready and willing to show too much of the alien structures yet, but we do have another piece of concept art that we can share with you. While the environment team are busy working on the NJ, Phoenix Project and Alien structures, the Geoscape team are also working to bring the strategic layer of the game to a future Backer Build. The character team are working on more classes and the other factions, more weapon types and more enemies. The programming team are working hard to put all of these elements together. In our next update, we will be taking a closer look at some of what the character team are currently working on.